When it says 1/3 moa, does it mean 1 inch per 300 yards, or 1 inch per 33 yards? Does this scope have eye relief focus? Will it work on the UmarexForge? Any chance we could get a picture or representation of the reticle? I realize it's a basic mildot but I'm just curious..
Mill-dot reticle with 9 mill-dots on each side of the cross hairs up and down, side to side. will this work on a r9? Is there an enlarged side-wheel available for this scope? Will it hold up against a gas ram. Like the np2 or the octane? Yes. 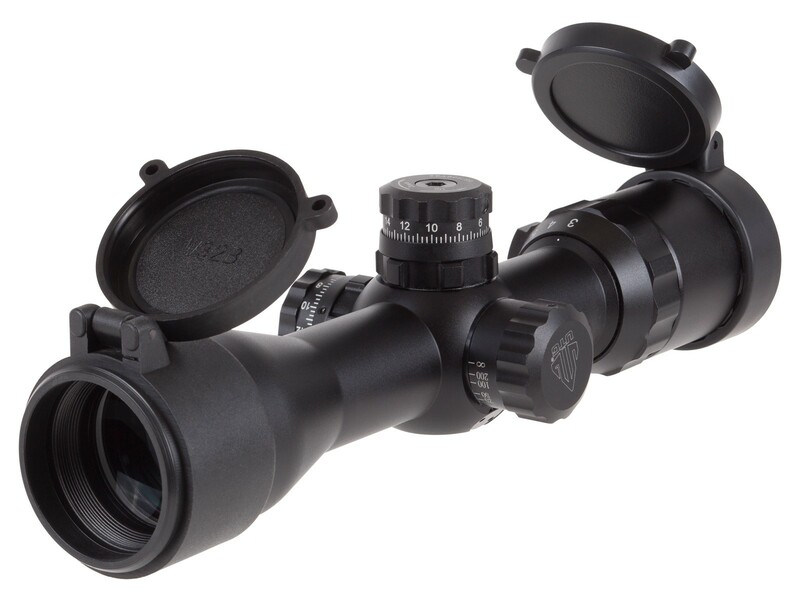 It's a Leaper's True Strength scope, so it can be used on magnum break barrel air rifles. Thanks...it's about the same size! How long is this? i have a BB 3x9..